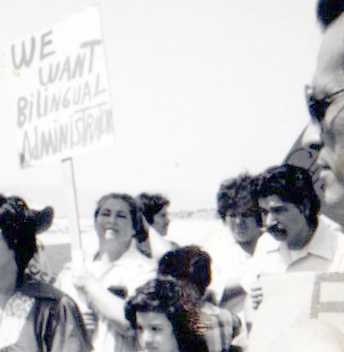 The Legacy of Compañero Ernesto Bustillos – ¡PRESENTE- AHORA Y SIEMPRE! To the community he was known as “el Maestro Bustillos.” With the intention of remembering the man, his ideas, as well as his lifelong commitment to struggle, we refer to him as “compa Neto.” Whenever we uttered any of these names, they were spoken with respect, admiration, and – at certain times and among certain people – intimidation. He died on March 26, 2012 from complications of an illness he had been suffering from for years, but had refused to tell anyone how poor his health really was, and he was unwilling to openly complain about the intense pain he had been carrying the last years of his life. It was a terrible shock when we heard that compa Neto had passed away. He was too young when he succumbed to his illness, having recently celebrated his 61st birthday. Nonetheless and through it all, he pushed himself (and those of us around him) to think critically, continuously be self-critical, to study history and politics at all times, and to have liberation struggle foremost on our minds, always. To better honor his legacy, compa Neto must be remembered as a man of numerous qualities. He was an educator, journalist, and an exceptional organizer. He was a theoretician, internationalist, and unrepentant combatant for class struggle. He was forever a barrio-based homeboy, friend, and a comrade. He was in fact, one of those a rare cases in human history where one person can develop leadership in multiple capacities – compa Neto was important in many ways to many people. 1979 Rally for Bilingual Education. greatness of the indigenous civilizations of Nuestra América, pausing only to take a sip from his daily multiple cups of coffee. 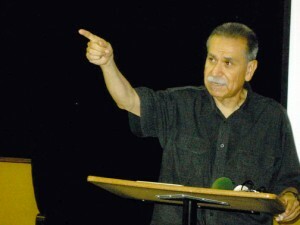 Between teaching periods, compa Neto could often be found in his classroom talking politics with any number of his colleagues or campus visitors – the point being that throughout the day he would almost never be alone, constantly pivoting back and forth between revolutionary teacher and teacher of revolution. Indeed, at some level compa Neto was a teacher to all of us. As a self-taught journalist, compa Neto enjoyed political writing more than any normal person should. He would write an important political article, share it, discuss it, revise it, then discuss it again. He would then study it a half-dozen times, putting himself “in the place of someone who is new to struggle” – thereby reading it through their eyes to make the argument more accessible to the community. Throughout his life he penned hundreds of articles, dozens of pamphlets, and numerous books. For Neto there was always another article, pamphlet, booklet, or book that needed to be published – right away. He would often paraphrase Lenin – “Without a revolutionary consciousness, there can be no revolution…” and would thereafter set himself to produce political essays with an exceptional urgency in both form and content. 1981 Action in Support of the UFW. 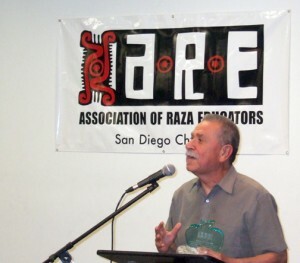 In 1987 compa Neto created Somos Raza Magazine, in 1989 he led the re-establishment of the newspaper ¡La Verdad!, in 1991 he co-founded Guerrilleras/os de la Pluma, in 1992 Pueblo Unido, and in 1993 Las Calles y La Torcida. 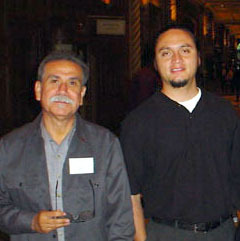 Neto wrote two editions of a book on political journalism: Chicano Journalism: Its History and its Use As A Weapon for Liberation – 1st Edition (1992) and 2nd Edition (2010). 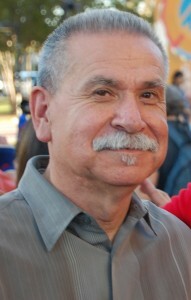 His passion for political writing led Ernesto to produce and/or co-author other books such as: Chicano Studies & Liberation (1992), EZLN: Ejercito Zapatista de Liberación Nacional (1995), Somos Un Pueblo Sin Fronteras: A History of Unión del Barrio (1997), Razalogía: Diccionario y Glosario del Barrio (1999), and Jail the Oppressor, Free the Oppressed (2003). 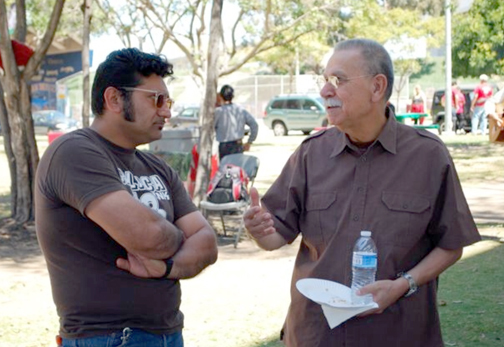 Compa Neto was also central to the creation of La Verdad Publications and the re-establishment of the Chicano Press Association (CPA – now known as the Raza Press and Media Association – RPMA). An exceptional organizer, Compa Neto taught us through both his words and his practice that sacrifice and discipline are essential components to defending our community. He insisted that in the face of so much injustice, there are no valid excuses for not committing ourselves to the movimiento. He was a tireless fighter for raza liberation and a firm believer in the idea that “…if you are not part of the solution, then you are part of the problem!” He reminded us often that the original intention behind the founding of Unión del Barrio was to create an “organization of organizers.” Indeed, right up to the moment he was too ill to continue, he was communicating with people and analyzing the pressing organizational questions of the moment. At a more personal level, compa Neto was always among the first people to arrive at a meeting – in fact it is impossible to recall him ever being late for anything. Ironically, he was averse to public speaking, much preferring small group discussion and debate. 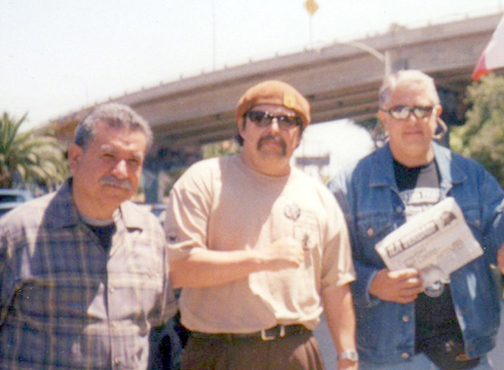 This personal idiosyncrasy was rooted in that fact that compa Neto was extremely humble; how he lived, worked, and struggled represented a physical embodiment of his class and his people – an unassuming working class Chicano. Yet, it was a mistake to underestimate this man; he could be utterly explosive when his commitment to struggle or his political principles were threatened. Compa Neto learned early on to take organized struggle seriously. 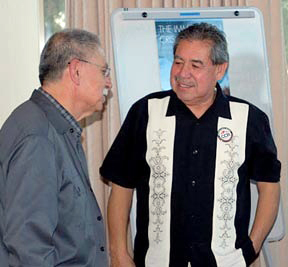 He began his political development during the apex of the Chicano Power Period in the 1970s, while he was involved in the Brown Berets, MEChA, the Chicano Park Steering Committee, and the Committee on Chicano Rights. Surviving those years of community struggle and political confrontations, even at a time when the movimiento suffered serious defeats as well as repression at the hands of the FBI-led Counter Intelligence Program (COINTELPRO), Ernesto and a core group of activists decided to push against the rising “hispanic” current and form Unión del Barrio in 1981. It was no coincidence that the August 29, 1981 meeting where Unión del Barrio was founded took place in the home of compa Neto. 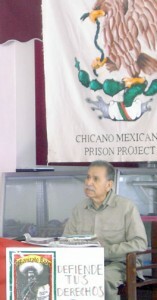 Additional proof of his tenacity and dedication is the fact that Neto spent most of his political life building Unión del Barrio, and was the only founding member of Unión del Barrio to remain active in the organization throughout his entire life – he dedicated 30 years of organized liberation struggle to UdB and never once did he separate from the organization from the day it was founded to the last day of his life. For these and many other reasons, Neto was consistently elected to the highest positions of leadership, and he was always central to the debates and discussions during our first four National Congresses. 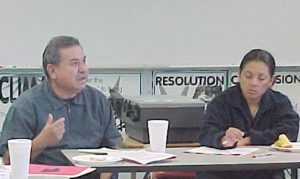 Throughout his lifetime as a member of Unión del Barrio, Neto served as Coordinator, Chairman, General Secretary, Encargado de Control y Cuadros y Sub-Secretario, Political Secretary, and Secretary of Organization. 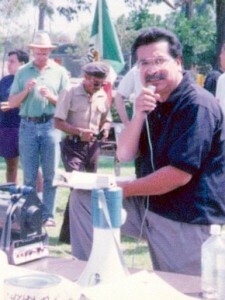 Ernesto speaking at the 1991 “Tribunal on Police/Migra Terror” organized by the Raza Rights Coalition. Even if this documented list of contributions were to end here, Compa Neto would undoubtedly be considered one of the most important organizers our movement has ever produced. 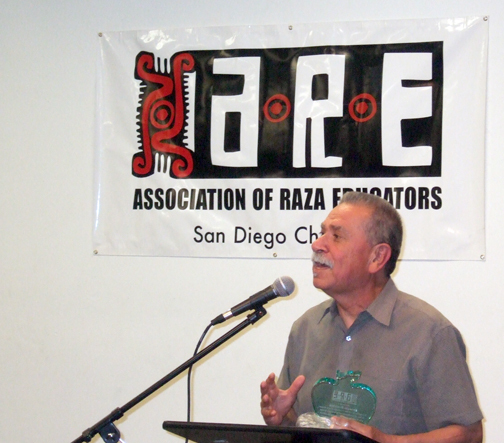 And yet, he did so much more… Ernesto played a key role in the founding of an extensive range of mass based organizations, projects, and coalitions that still exist today: Escuela Aztlán (1981), Somos Raza Youth Project (1986), the Chicano Studies Concilio (1987), the Raza Rights Coalition (1989), re-establishing of the National Chicano Moratorium Committee (1990), the Chicano Mexicano Prison Project (1993), the Association of Raza Educators (1994), and the Save Our Barrios Coalition (2010). 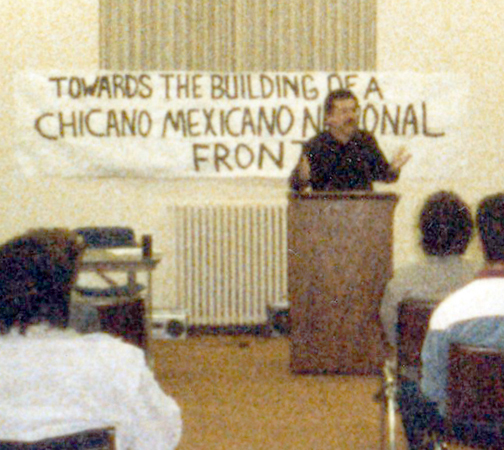 1989 Conference To Build A Frente Chicano Mexicano. Moreover, throughout the 1990s Ernesto played a leadership role in numerous coalition-building efforts to politically unite progressive raza organizations within the Chicano Moratorium Conferences and Unity Marchas. In 1990 compa Neto was central to advancing the call to build a “National Movement for Raza Liberation” through the “Frente Nacional Pro-Defensa del Pueblo.” That same year he was the Coordinator building for the 20th Commemoration of the Chicano Moratorium March in East Los Angeles, and played central roles in the “National Conference on the Question of Unity and Organization” in 1993, and the 25th Commemoration of the Chicano Moratorium in 1995, and the Anti-Republican March and Raza Unity Conference in San Diego in 1996. It must be emphasized that each of these processes was national in scope, with the demonstrations bringing together thousands of participants from across Nuestra América. 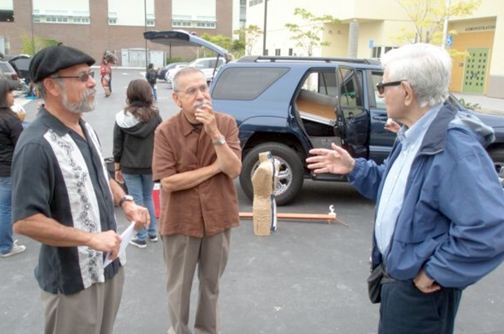 All this work took place in addition to countless local (San Diego based) and regional marchas, pickets, teach-ins, forums, encuentros, demonstrations, tribunals, and presentations he organized, directed and/or was invited to be a part of. 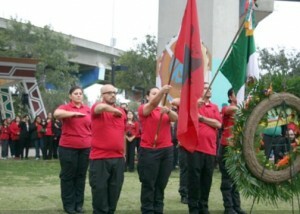 1991 Unión del Barrio 10th Anniversary. 1992 Chicano Park Day Preparing for the Marcha of 500 Years of Raza Resistance. 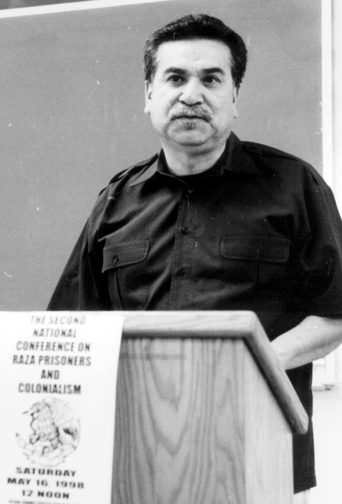 His ideological contributions focused on the objective of providing continuity and an historical link with the original goals of the Chicano Movement to build for raza self-determination and liberation in the present. The idea was to recover what was best within the movimientos of the 1960s and 1970s, and correct the errors. This was the ideological vision that kept Ernesto going to his very last conscious moments. Throughout his life he was both admired and feared for his intolerance for oppression, his humility among the community, and his impatience with liberalism. Compa Neto was an uncompromising believer in the power of organization and collective struggle, individual accountability within a political collective, and the importance of resisting any type of caudillismo (cult-of-personality). Nonetheless, he sought to strike a balance between being critical without succumbing to sectarianism – building a unity with other organizations based on political principles. 1992 Rally in San Ysidro against American Spring skinheads & neo-nazis. Ernesto spent most of his life pouring over the writings of Che, Fanon, Fidel, Ho Chi Minh, Lenin, Lumumba, Malcolm, Mao, Martí, Marx, and Sandino, as well as many other revolutionaries from throughout the world. Yet his ideas were anchored not only in his political/ ideological studies but in his life experiences as well. Neto was a Chicano, a Mexicano, a Latinoamericano, an indigenous warrior and a dialectical materialist. Perhaps the source of his class consciousness came from his time as a farm worker, or as a tank cleaner for NASSCO, we can’t be sure, but we do know that he understood what labor was and always expressed a deep respect for workers, a feeling that was also the foundation for his deep hatred of the international bourgeoisie. Neto was an internationalist. He deeply loved his own people, and precisely because he loved his own people, he simultaneously carried within him a tremendous admiration for all “third-world” anti-colonial struggles. He grew to have a tremendous love for his gente and for humanity, and terrible hatred for injustice and exploitation. Ernesto’s leadership and internationalism was the source of our original contact with the African People’s Socialist Party in 1986, and Neto’s wonderful friendship with Omali Yeshitela throughout the remainder of his life. 1993 Founding Meeting of the Chicano Mexicano Prison Project. 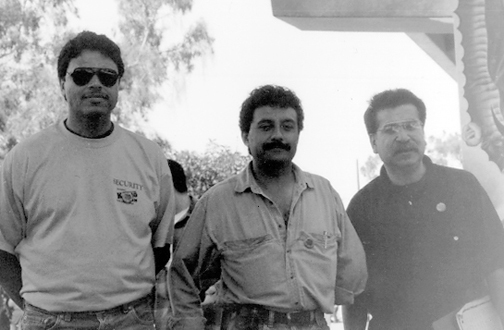 Compa Neto hated to travel, but when Unión del Barrio began to look outward in the 1990s, he took to representing the organization throughout Aztlán and around the world. Whether he was in Barrio Logan, La Habana, Atoyac, Caracas, Guatemala City, or Amsterdam, Neto represented what the struggle for raza liberation meant for us, and how it was fundamentally rooted in the struggle against capitalism, colonialism, and imperialism. Neto was a homeboy and he was our friend. Throughout his life and irrespective of the occasion he maintained the stance, strut, and style of a working class man raised in the barrio. 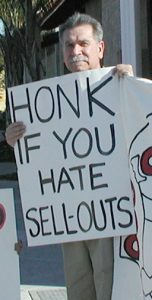 He was never one to back down from a fight, political or otherwise. He hated bullies. He backed up his friends. And he never turned down a cold beer after a long day of struggle. 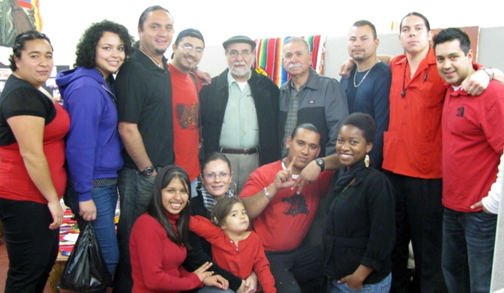 In sum, compa Neto was our comrade… And a revolutionary of our times. We miss him terribly. 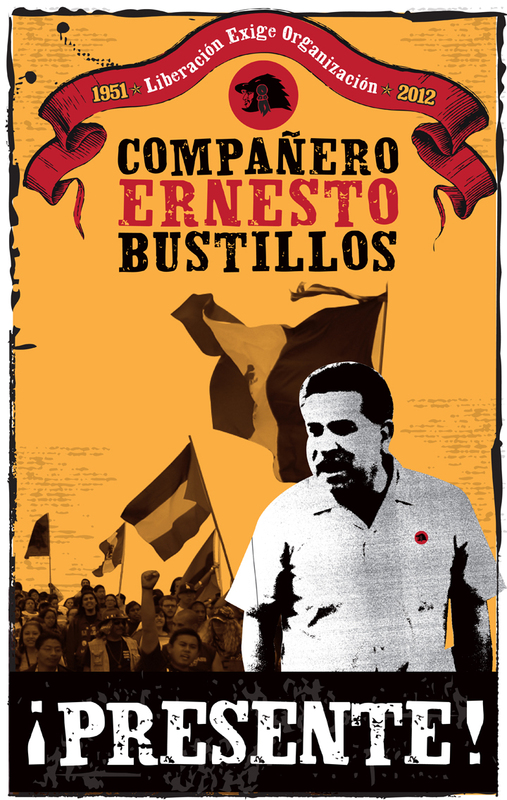 Compañero Ernesto Bustillos ¡PRESENTE- AHORA Y SIEMPRE! 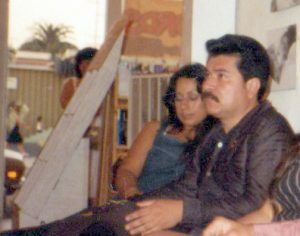 The following text are the words shared by Compañero Ernesto Bustillos on August 31, 1996 at the Centro Cultural de la Raza in San Diego, Califas. 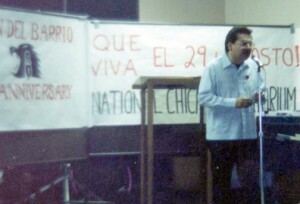 1996 Compa Neto Delivers Speech at the 15th Anniversary of Unión del Barrio. First of all, I would like to thank everyone who organized and helped put this commemoration together. I would especially like to thank Consuelo Manríquez and Judy de los Santos who were central to the organizing of this event. 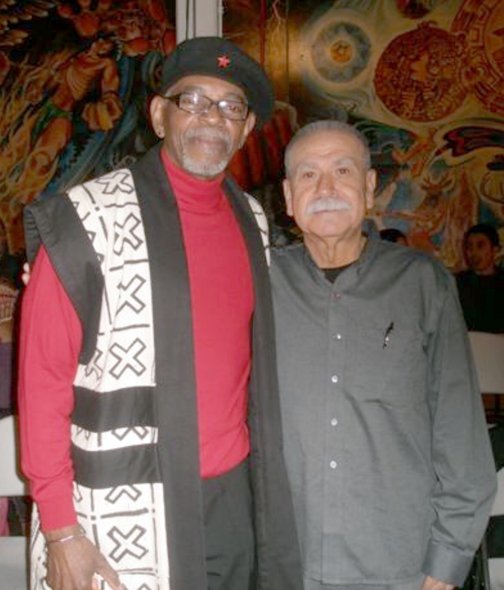 I would also like to recognize Antonio Marín from the National Chicano Moratorium Committee, El Paso region, and Chairman Omali Yeshitela of the African People’s Socialist Party. I would like to thank all our membership that is struggling for our people’s liberation. A special recognition should go to Marcelino Frias who is one of the few members who have been with us since the organization’s founding in 1981. I’d like to thank everyone who has supported us and stood by us. I would like to thank everyone present here tonight for coming out and to join us tp commemorate 15 years of struggle. I think we all know how important this commemoration is. It is important because it is not everyday we get together to celebrate the 15 years of a movement organization. Especially the kind of organization that Unión del Barrio is. Especially if we understand the difficult conditions in which La Unión del Barrio has existed in. Especially if we understand the many obstacles Unión del Barrio has had to go through. And especially if we understand that most organizations have died out or have been destroyed trying to overcome these same obstacles. 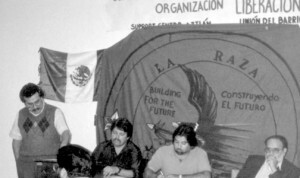 1994 Rally in Support of the EZLN. Our enemies thought it would be easy to destroy La Unión del Barrio. In fact our enemies thought that we would not survive more than a year or two. But we survived because the enemy is so arrogant that they fail to understand and respect history and laws of social development, which some of us call dialectical materialism. We survived because we are a humble organization – an organization that strives to understand the laws of social development. We survived because we respect and are guided by the laws of social development. We survived because we understand that in order for the enemy to destroy us, it must destroy the human race, including themselves. All of us in this room know, that without us – the poor, the workers, and the oppressed people of the world – the enemy could not survive. We are the ones who make them rich. We are the ones who put food on their tables. We are the ones who make the products that they use and sell. We are the ones who clean their homes and the buildings that they own. We are the ones who create the music and the art they try to enjoy – I say “try to enjoy”, because I don’t think they actually do. We understand that the racist capitalists live off the sweat and blood of our people. We understand, that the enemy can kill some of us, but they can not kill the movement. They can kill the revolutionary, but they can’t kill the revolution. Because whether they know it or not, the revolution is a response to the oppression and the misery in which people exist. The revolution is nothing more than a movement to end oppression, to end exploitation, to end misery, to end poverty, and to destroy this system that enables one human to oppress another. So the enemy can kill a revolutionary, but the revolution is going to continue. We understand, that even as we are gathered here today, the enemy is killing people throughout the world, it is killing people throughout Aztlán-México, Latin America, Africa and Asia. Compañeras y Compañeros, I think many of us are very much aware that even as we are gathered here, at this very moment, there is a Zapata being born in Latin America. There is a Malcolm X being born in Africa. There is a Ho Chi Minh being born in Asia – and there is not a damn thing that capitalism-imperialism can do about it. This is what the laws of social development are all about. We understand this and have come to terms with it. That’s why we respect the laws of social development, that’s why we are guided by these laws. The very existence of Unión del Barrio is based on these laws, because out of the destruction of our movement in the 1970s, Unión del Barrio was born in 1981. So while the enemy thought they had destroyed the Black Revolution, the African People’s Socialist Party was born. While the enemy thought they had destroyed the Mexican Revolution, the Zapatistas were born. And when the enemy thought that it had “neutralized” or “contained” the Zapatistas, the Ejército Popular Revolucionario was born. This is what we understand the laws of social development to be. 2000 – the 1st UdB Plenary. Periods when people actually laughed at us and said that we were stuck in some historical time machine – that our political ideals and objectives were dead or not real. Periods in which the personal contradictions caused by the enemy became unbearable, forcing some of us to give up struggle. But we survived. Compañeras y Compañeros, we survived because there has always been a core group of members committed to revolution. We survived because we never lost touch with the reality of the barrio, with our reality. We survived because in spite of all our contradictions, we are an honest organization. We survived because, as weak as our political development was, we were fundamentally right in our understanding of what was coming down all around us. We survived because we were, and are, an organization based in the community – united with the poor, and the working class, and the oppressed masses. We survived because we have learned from our mistakes. 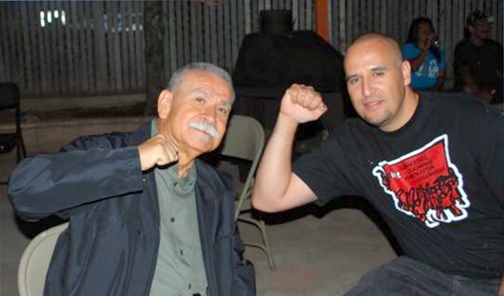 We survived because we have learned from the struggles of our Raza’s long history of struggle. We survived because we learned from the struggle of other liberation movements – we have learned from the Sandinistas, the Frente Farabundo Martí, the Zapatistas, the Vietnamese National Liberation Movement, the Black Panthers, and the African People’s Socialist Party. We survived because we are a product of the laws of social development, which teaches us that wherever the forces of oppression and exploitation exist – you will also find the forces of liberation and revolution. Compa Neto did not waiver when it came to struggle. But as hard, as long, and as difficult as our organization’s history has been, we have also had our share of successes. First of all, we must understand, that it has been the struggle that has made us who we are today. The struggle has humanized us, has made us more complete men and women. The reason we can stand proud today is because the movement has given us the opportunity to do so. Compañeras y Compañeros, we have to question how other Mexicans can go to sleep at night knowing that the forces of oppression are working 24 hours a day, 7 days a week, 12 months a year, doing the most terrible things to our gente. Attacking our culture, attacking our children, keeping us in a state of ignorance, forcing us to live under the most violent conditions, importing drugs into our communities, keeping the majority of our Raza in a state of poverty. We have to seriously question how can people sleep at night and not do a damn thing about this oppression. Unión del Barrio has provided our Raza with the means to challenge this oppression. Unión has provided us with an answer to this question. 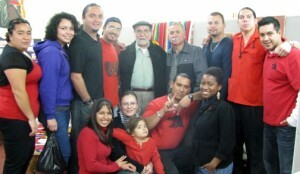 Unión is a response to racism, violence, and poverty. 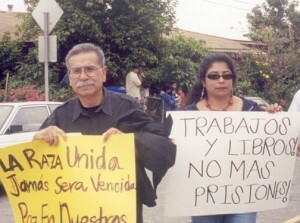 2002 Struggle to Stop MIgra Raids on the Trolley, and the Struggle to Free Benjamin Prado from Migra Detention. Compañeras y Compañeros, la Unión del Barrio has given us the opportunity to struggle against oppression. Everyone knows, even the most critical, even our worst enemies know, they all know that the most organized, the most active, consistent, and revolutionary Raza formation in the occupied territories (Aztlán) is Unión del Barrio. Anyone who is honest and understands the conditions in which we exist today will acknowledge that Unión de Barrio has played a significant part in the resurgence of a political movement. Many of the political ideals, the language and symbols used by Raza activists and cultural workers today, were things kept alive or developed by Unión del Barrio. Unión del Barrio played a large part in the resurgence of a movement that we are witnessing in the 1990s. We can’t go to any part of Aztlán and not see the influence of Unión del Barrio. ¡LA VERDAD! 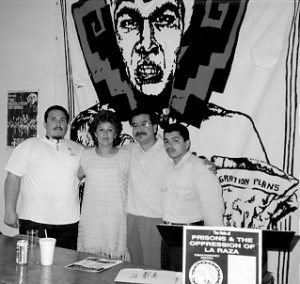 newspaper, Somos Raza, La Verdad Graphics, Comité de Mujeres Patricia Marín, the Unión del Barrio Security Brigades, and the Chicano Mexicano Prison Project – are projects that are motivating, educating, and defending Raza throughout Aztlán. Compañeros y Compañeras, the future looks good for the organization. But we must understand that the road ahead is very difficult. Our enemies, seeing our successes, will no doubt intensify their movidas to destroy us. 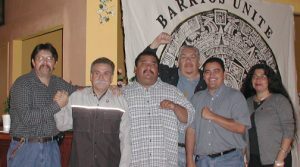 Compañeros y Compañeras, Unión del Barrio has a rich and honorable history in the struggle for Raza self-determination. A history that future generations will read about, learn from, and be proud of. If we continue to be honest, committed, willing to sacrifice, guided by a correct political line, nothing can stop our struggle for the liberation of la Raza, our lands, and the reunification of Aztlán and Mexico!! Y ¡Que Viva La Raza! 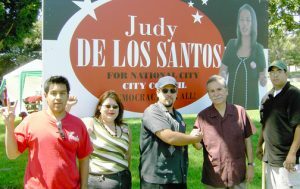 2004 Independent Campaign to Elect Judy de los Santos. 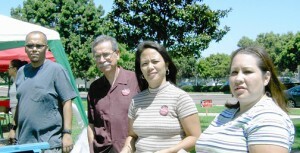 2005 CMPP Conference in Oxnard, CA. 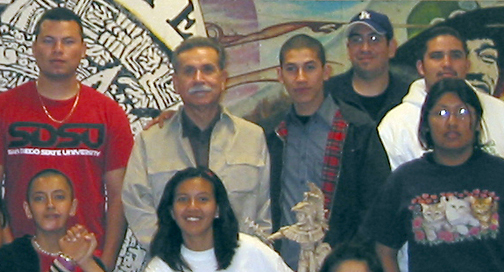 2005 Raza Bookfest, Los Angeles, CA. 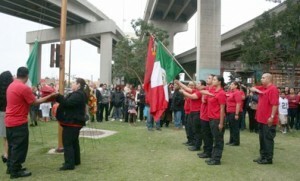 2006 Barrio Youth Marcha in San Diego, CA. 2008 ARE Banquet & Recognition. At the Centro Cultural Francisco Villa in Los Angeles. 2012 – Honors for Compañero Ernesto Bustillos, Chicano Park. 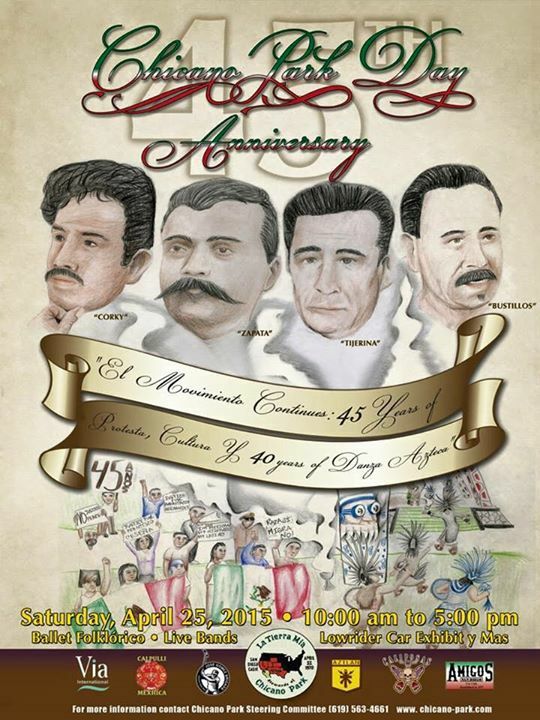 The 45th annual Chicano Park Day celebration poster honors the memory of Rodolfo “Corky” Gonzáles (June 30, 1928 – April 12, 2005), Emiliano Zapata (August 8, 1879 – April 10, 1919), Reies Lopez Tijerina (September 21, 1926 – January 19, 2015), and compañero Ernesto Bustillos (March 2, 1952 – March 26, 2012). The artwork for the poster was created by Tlaloc Bustillos. Below is the statement released by UdB on the day of Ernesto’s passing. It is with great pain and a heavy heart that Unión del Barrio informs the Mexicano Liberation Movement and its supporters that we have lost a leading figure of our cause. The co-founder of our organization and leading member, Ernesto Bustillos passed away this afternoon, March 26, 2012, from complications resulting from cancer. Ernesto Bustillos was an unwavering and dedicated combatant to the cause of the poor, the exploited, and oppressed people’s the world over. He was a fervent anti-imperialist, anti-Capitalist, and anti-Colonialist, but most importantly he exuded a deep love for his people. 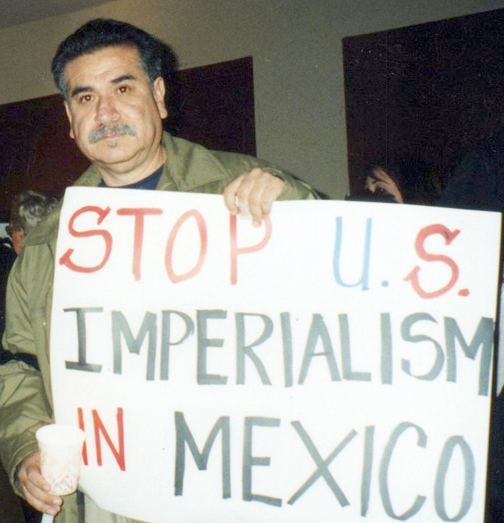 Always an Internationalist and a National Liberation fighter, Compañero Ernesto stood tall among the struggling Mexicano people on both sides of the imperialist border. 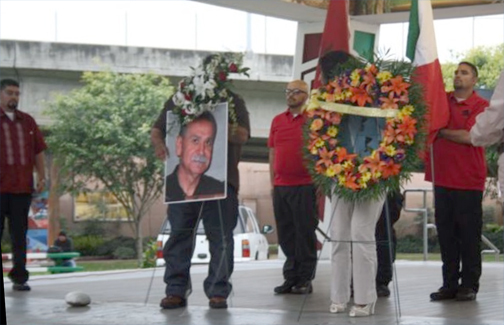 Ernesto was a guiding political leader for Unión del Barrio, and for our movement, advancing at every turn the struggle for Raza self-determination and liberation. Before and since the founding of Unión del Barrio in 1981, he struggled everyday, and he never gave up la causa, completing tasks for the organization to his final days. 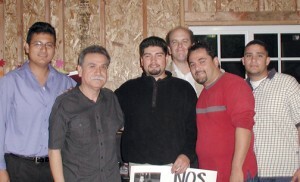 Ernesto was with his family and friends at the time of his passing. GO TO NEXT SECTION (2013 to Present).